Your clients once healthy, nourished hair is now dry and brittle thanks to a summer that consisted of laying out by the pool and using whatever was in that little bottle provided by the hotel. Her hair is in need of some serious hair rehab. Thankfully the folks at Rene Furterer have you covered. 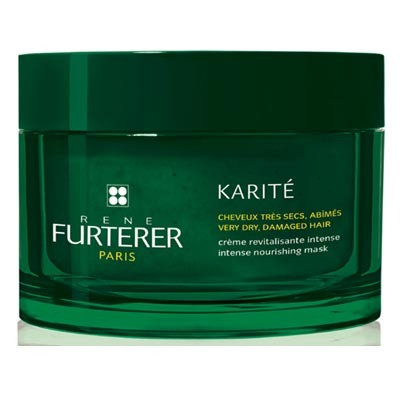 The new KARITE Intense Nourishing Mask consists of Burkina Faso-Fairtrade Ethical Shea butter with 100 percent traceability. This ancestral beauty secret of Burkina Faso is combined with Phospholipids, Cimentrio and Quince Seed Pectin to provide powerful moisturization and nutritional benefits, deep down, where it counts. Formulated to deliver results in less leave-in time, hair is 88 percent softer and 85 percent easier to detangle after just five minutes. Apply to hair and scalp after shampooing to damp hair weekly or as often as needed. Leave on for 2 to 5 minutes, comb through and rinse well. For optimal benefits use with KARITE Intense Nourishing Oil, KARITE Intense Nourishing Shampoo, KARITE Leave-In Nourishing Cream and KARITE Leave-in Repairing Serum. For more information visit, www.renefurtererusa.com.